A Northwestern fencer prepares to fence. Northwestern heads to Columbus for the Elite Invitational this weekend. Since coach Zach Moss took over as Northwestern’s leader, he has overseen some monumental victories at difficult tournaments. But this weekend’s Elite Invitational in Columbus will be a challenge Moss and the Wildcats have never had to deal with before. Along with NU, the eight teams competing at the invitational are Cornell, Cleveland State, North Carolina, Notre Dame, Ohio State, Penn, Penn State and Princeton. Of those nine teams, six of them — Notre Dame, Ohio State, Penn, Penn State, Princeton and the Cats — finished the 2017-18 season ranked in the top ten. Cornell and North Carolina received votes in the final poll. The only team to not be featured in the end-of-year poll was Cleveland State. “This weekend we are probably going to hit a lot more adversity, that’s the reality of it,” Moss said. NU is coming off a perfect weekend at the Vassar Invitational where the team went undefeated against a group of inferior teams. Since the Cats knew the vast differences between the level of play at the two competitions, they rested many of their best fencers. Because of the “insane” competition NU will be going up against, Moss has different expectations for this weekend than last weekend at the Vassar Invitational. Last Sunday, Moss expected to leave New York with eight wins and zero losses. Now, he wants to leave the Buckeye State with more wins than losses. At last year’s Elite Invitational — which was held the week before the Vassar Invitational — the Cats went 5-3 with an impressive victory over the hosting Buckeyes. NU fences four matches on Saturday and five matches on Sunday. The Sunday gauntlet is much more competitive as the Cats will battle four of other five top-10 teams at the tournament, including Midwest Conference foes Ohio State. 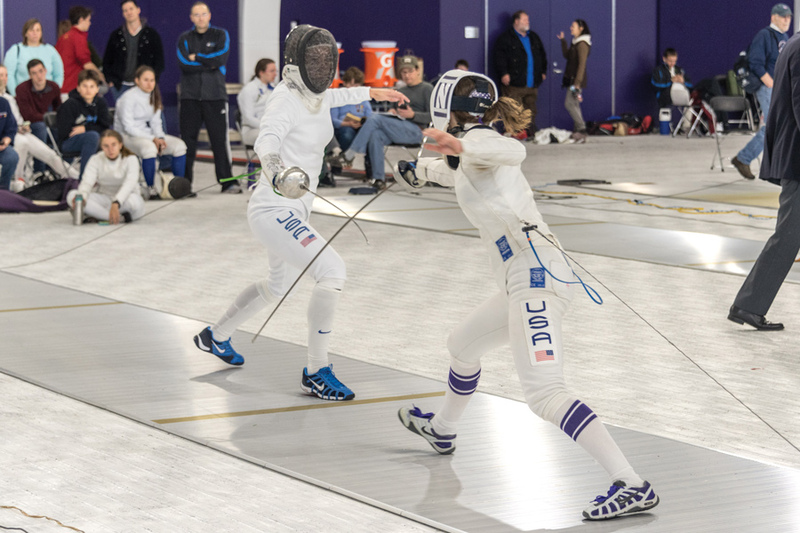 This is the first time NU and the Buckeyes will battle each other one-on-one since the Cats reigned supreme at the Midwest Fencing Championships in February. NU and Cornell will face off twice in Columbus because this event is the only competition the two teams will both be attending, Moss said. Last year, the Cats put a beating on the Big Red, winning the contest 22-5 as both the sabre and epee squads finished 8-1. There are 12 new freshman in the program and Moss said he is happy with the progress they have shown so far and with how the team is playing.